Home / Uncategorized / How to Reduce Double Chin with Best Kybella Treatment? Home » How to Reduce Double Chin with Best Kybella Treatment? Everyone’s been talking about Kybella, an injection that claims to reduce double chin fast without any surgery and minimize the appearance of a double chin. But does it actually works? Let’s find out about this double chin treatment in our today’s post. Some people have some extra fat under their chin, a condition called submental fullness that is commonly referred as “double chin”. Submental fullness can affect both men and women and it is caused by various factors such as weight gain, aging, and genetics. Some overweight people may not have fullness under their chin and sometimes the condition may go away easily with diet and exercise. If you’re bothered by the double chin, you’re not alone. According to the consumer survey conducted in 2015 by the (ASDS), 67% of individuals are concerned about the excess fat under the chin. Kybella is the FDA approved a non-surgical injectable treatment that is used to reduce fullness beneath the chin. The Kybella treatment uses a deoxycholic acid that targets the fat cells under the chin, destroys them and therefore, improves the overall chin and facial profile. Kybella is a safe and effective treatment that requires no incisions and the downtime is minimal. What are the targeted areas for Kybella? Kybella is proven treatment to be used for the submental area (area under the chin). It is currently not known if Kybella is safe to be used outside of the submental area. Deoxycholic acid is naturally produced by our body to help in the breakdown and absorption of the dietary fat. The main ingredient in Kybella is the synthetic form of deoxycholic acid that is used as an injection. When it is injected into the fat beneath the chin, the acid in the Kybella destroys the excess fat cells. Once these fat cells are destroyed, they can’t store or accumulate the fat so there is no further treatment required when you reach your desired aesthetic goals. How to prepare for Kybella treatment? Before starting the double chin treatment, it is important for you to plan properly for Kybella procedure with the cosmetic surgeon who determines whether you are the right candidate for it. Avoid taking ibuprofen and acetaminophen to prevent post-treatment bruising. Before the treatment, the surgeon examines the area around the chin and the neck and then tailors a treatment plan according to the amount of fat to be reduced and individual aesthetic goals. The Kybella injections should be administered by a trained healthcare professional or cosmetic surgeon because deoxycholic acid can destroy other cells in the body during the procedure. At first, the surgeon uses a marker to mark the injection sites of the targeted area and after that may apply ice packs or topical numbing agent to ease any discomfort or pain. Then, multiple small injections are injected into the marked areas and the number of injections is usually 20-30 or even 50. 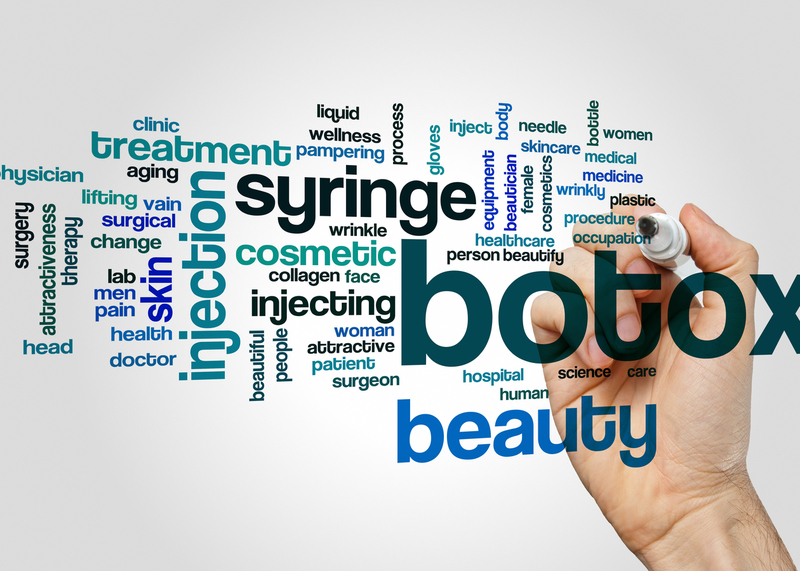 The number of injections depends on the amount of fat to be treated and desired aesthetic profile. After injecting, the deoxycholic acid starts the process of destroying fat cells gradually. Each treatment session takes about 15-20 minutes for the procedure. What are the results of Kybella treatment? Once the deoxycholic acid destroys the fat cells, the results are long-lasting and consistent. Also, no further treatment is needed as the fat cells couldn’t store the fat. Each treatment session is given around one month apart and more than 6 treatments shouldn’t be received. Majority of patients received double chin injections treatment seen visible results within 2-4 sessions while some clinical studies account that 59% of patients have received 6 treatments. What are possible risks and side effects of Kybella? These minor side effects usually subside with 1-2 weeks and the recovery time is minimal in most of the cases while the downtime can vary as per individual patient’s conditions. After the procedure, if you experience these serious side effects, immediately consult your doctor. Who are the ideal candidates for Kybella? Who shouldn’t receive Kybella treatment? The patient shouldn’t receive double chin injections if he/she has an infection in the targeted area. What is the cost of Kybella treatment? Each double chin treatment cost can range from $1,200 to $1,800 but the total cost depends on the number of treatment sessions, the fees of the surgeon and geographic location. Kybella is not covered by medical insurance as it is considered a cosmetic procedure. If you have submental fat under the chin and want to undergo Kybella treatment for reducing the double chin, you can consult LaserKlinic board-certified cosmetic surgeons. They are highly accomplished in providing the customized best Kybella treatment in NYC that will eventually fulfill your aesthetic goals and gives you a perfect overall facial contour. To schedule a free consultation, visit our website and fill out the contact us form or call (212) 229-1600 for an immediate response.